If you are in need of a Hills Physiotherapy, call PPS Physiotherapy today. Based in Sydney’s Hills District, PPS Physiotherapy has clinics in the suburbs of Kellyville and Carlingford. Our team of certified physiotherapists deliver quality physiotherapy services including personal physiotherapy, thermoplastic sprinting, sports tape, sports braces and strapping, orthotic prescriptions, women’s health management and pre-season fitness assessment. At our Hills Physiotherapy clinic, we specialise in all types of Physiotherapy and see clients with issues such as chronic pain, sport or exercise injuries, which may include sore necks, torn ACL’s or damaged knees. If you are experiencing pain or looking at rehabilitation from an injury, it is time to consider consulting a certified physiotherapist. Many people associate physiotherapy with the management of pain issues arising from accidents, injuries and illnesses. Indeed, physiotherapy specialises in creating pain management plans for these patients. But if you feel repetitive pain and discomfort in any part of your body, a certified physiotherapist is the right person to talk to. Physiotherapists have the necessary knowledge of different types of pain and the expertise to address them. For reliable Hills Physiotherapy, consult our expert practitioners at PPS Physiotherapy. Call us on (02) 9672 6752 to book a Kellyville consultation or (02) 9871 2022 for our Carlingford Clinic. Whether you hurt yourself while working at home or work, don’t let yourself suffer from chronic pain. Consult a physiotherapist today. One of the biggest mistakes you can do is enduring pain. Pain is your body’s way of signalling you that you need to check on a specific part of your body. Listen to your body and recognise these signs that point out that you may need a physiotherapist. 1. Pain that lasts beyond two to three days. Not every ache is enough reason to consult a physiotherapist. After intense exercise or strenuous work, it is normal to experience joint and muscle pain. Rest the injury and apply a cold compress to ease the pain. If the pain persists for two to three days, then you may need to schedule a consultation. You know your body more than anyone else. If you are experiencing performance issues like difficulty performing your everyday routine, it may point to some injuries that need to be addressed. If you have swollen joints or feeling pain during certain movements, you need to consult a physiotherapist. At PPS Physiotherapy, our number one priority is your health and well-being. 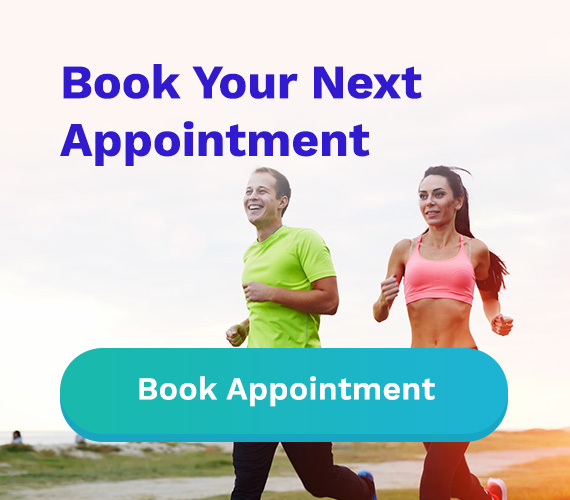 Contact our Hills physiotherapy team today and get a confirmed booking time within the next 24 hours. Call us on (02) 9672 6752 to schedule an appointment.